Imputation credits – what are they and will the proposed changes affect you? The announcement by the Federal Opposition to cease refunding unused imputation credits has resulted in widespread media commentary on the impact on retirees. There is a risk that some of the commentary could mislead the public as to the effect of the proposed policy. Industry Super Australia (ISA) are seeking to explain what imputation credits are, who they are likely to affect and how fine-tuning the policy could reduce or remove the impact on pensioners with small and moderate parcels of shares. The purpose of imputation credits is to stop the double taxation of company profits. An imputation credit (also known as a franking credit) is essentially a note that comes with share dividends that says company tax has already been paid on the dividend, giving the shareholder a discount on their tax at tax time and thus avoiding double taxation. For those shareholders who don’t earn enough income to pay tax, there is nothing to offset the credit against, so these surplus credits are paid to them in cash. In these circumstances, the company profit is not being taxed at all. Who could the imputation credit changes affect? 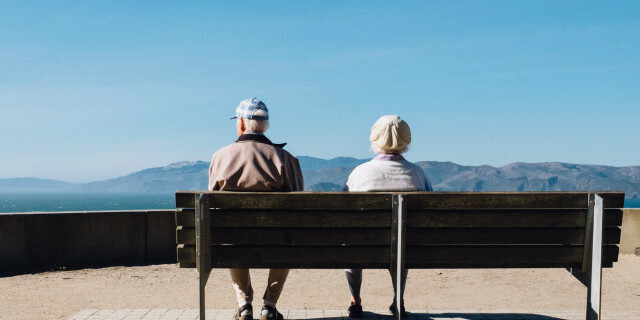 Broadly the impacts on retirees’ incomes fall into two categories – impacts on shareholdings through super funds and other entities, and shares held directly by individuals. The impact on superannuation depends on the type of fund. Large APRA regulated funds which pool assets of accumulation and pension members and pay tax at an entity level are largely unaffected. Self-managed super funds which have a greater share of assets in the tax free pension phase are more likely to be impacted because there are insufficient or no tax liabilities which can be reduced by imputation credits. Of particular interest is the impact on pensioners and retirees who hold shares directly rather than through a super fund. There have been many case studies highlighted in the media but little empirical analysis on the impact. ISA Special Retirement Policy Adviser, Phil Gallagher, has examined the impact of the policy on retirees who hold shares directly and the extent to which fine tuning the policy through introducing a $1000 cap on the refunds would allow 350,000 retirees in the personal tax system to escape the effects of the policy entirely while still preserving more than 90% of the original estimated savings. Chart 1 and Table 1 below show the distribution of imputation credits received by retirees aged 65 and over by pension status ranged by household financial wealth deciles. The distribution of imputation credits across wealth deciles largely mirrors the distribution of shareholdings by household wealth generally. So despite refundable imputation credits flowing only to those who don’t pay tax the main beneficiaries have significant financial wealth available for their retirement. This article was first published in March 2018. The information referred to may change from the date of publication and care should be taken when relying on such information.